Lisa Fitterman is a National Newspaper Award winner and the author of two children’s books. 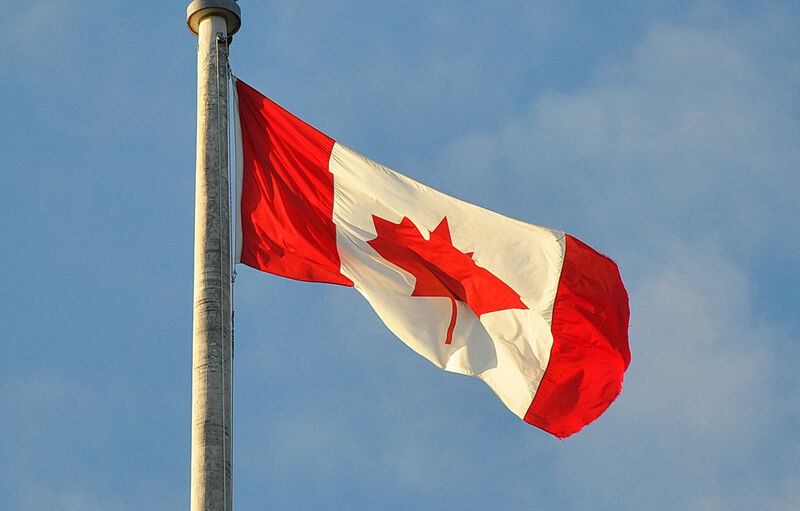 Here’s a question to mark the country’s 150th birthday: How did Canada Day get its name? If your answer had anything to do with Prime Minister Pierre Trudeau, a rose in his lapel, repatriating the constitution in 1982, thus turning Dominion Day into Canada Day, from Newfoundland and the Maritimes through to the Gaspésie, you would be wrong. And if you thought that it originated in Ottawa, an invention of the federal government, complete with miniature maple leaf flags patriotically fluttered along parade routes, fireworks and rousing choruses of the national anthem sung across the land, well, you would be wrong—again. Instead, Canada Day began twenty-three years earlier in a suite of offices in an anonymous mid-rise building in downtown Montreal. It was 1969, the year we were introduced to nos amours, the Montreal Expos and the year a strike by local police led to sixteen hours of terror in the city’s downtown when a cab drivers’ union violently protested a rival limousine service’s monopoly at what is now Pierre Trudeau International Airport; in the melée, a Quebec Provincial Police corporal was killed and more than 100 people were arrested. It was also the year that the Front de libération du Québec blew up the Montreal Stock Exchange, part of a violent campaign that would culminate in the October Crisis of 1970. Their answer was to create a Canada Week full of celebrations, with July 1 now designated as Canada Day. The day was perfect because it occurred one week after Quebec’s national holiday, the Fête de la Saint-Jean-Baptiste, on June 24—far enough away to not be considered an insult but still close enough to remind Quebeckers they were part of a country that had lots going for it, too, including its own red and white flag stamped with a maple leaf. It was controversial, to say the least. Some French speakers didn’t like the Canada Committee’s attempt to jumpstart a patriotic celebration of the country in their province. Jocelyn Beaudoin, its long-time executive director, a francophone, was often accused by nationalists and some of his own French-speaking friends of being a traitor to his own kind. Once, around the time of the October Crisis, four people armed with knives broke into the offices, tearing it apart as they searched for a rolodex that contained the names and addresses of the directors. Surprisingly, representatives of the federal government weren’t enamoured of the idea of a Canada week or day, either. For them, Dominion Day seemed good enough. Beaudoin recalled when the committee, by then renamed the Canada Unity Council, first presented its proposal in 1968 and asked for funding. “We traveled to Ottawa. I don’t remember who we met with—a deputy minister in what was the precursor to Heritage Canada—and he laughed at us,” Beaudoin says. “We were a group with big ideas. The federal government gave us $20,000 and basically told us to go away. With the help of thousands of volunteers, the committee began setting up beachheads in every province. In 1977, the Canada Week was officially shrunk to Canada Day, held under the auspices of the Canada Unity Council. And in 1982, the celebration was enshrined in Ottawa. The council, however, may have done more than establish Canada Day—it may have helped save the very country. During the Quebec sovereignty referendums of 1980 and 1995, it organized federalist rallies in the province that were widely recognized as helping turn the tide against separation. In 2006, the Council’s funding was cut off by the Federal government, but not before a massive, national letter campaign was started to save its largest and most popular youth program: Encounters With Canada. That campaign was successful and today, from September to May, Canadian teens between the ages of fourteen to seventeen continue to travel weekly to Ottawa to learn about their differences and similarities, to study our civic institutions and meet accomplished Canadians. And that is probably the best Canada Day legacy of all.